Try two of Botanicals most popular, award-winning products - with their compliments. Just click follow the link and click 'Buy' and then enter FREEDUO at the order confirmation stage of the checkout. This will credit back the amount*. 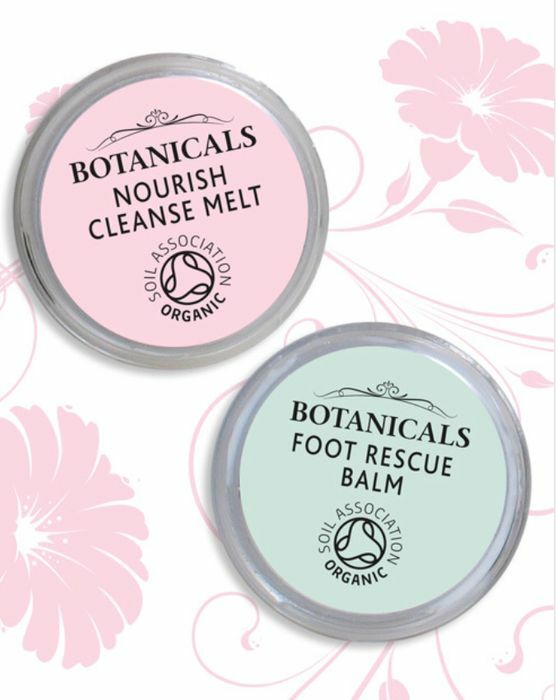 Botanicals Foot rescue balm won Best Organic Bodycare Product in the prestigious 'Natural & Organic Awards'. And their Nourish cleansing melt won silver in the 'Free from' face care category. They are particularly proud because Botanicals achieved the overall Award for ‘Best Brand’. The 'try me' duo contains a 5ml pot of each product, which will last for four to five applications. *They do have to restrict the free offer to one per customer, and they do charge for postage and packing at a reduced rate of just £2.95.